(DADE) LANKFORD / LANKFARD. She was born in St. Joseph, MO. Isabella was listed born in Sept 1898. Her age appeared to be first written as 2 but, marked over to be a one. 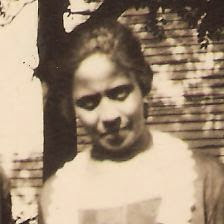 She would have been two in Sept of 1900.
and siblings at 2413 Edmond., St. Joseph, MO. and siblings at 2412 Edmond. Her name was listed as Isabel V. LANKFORD on the index. However, her mother, Charlottie, household, her surname was spelled LANKFARD. 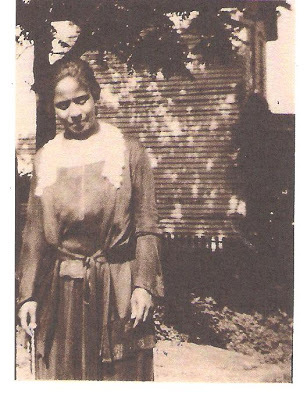 Isabel lived with mother and brother, Charles at 516 N 24th St. in St . Joseph, MO. They were listed as mulatto. The census was taken on Jan 10, 1920. Isabella married Ezekiel W. Nickerson on August 16, 1920 in Denver Colorado. Her surname was spelled LANKFORD on marriage index. Isabella gave birth to a son on Nov 14, 1924. His name was spelled, LANKFORD J. NICKERSON. I need to update Isabella NICKERSON’s information. I have discovered more. The above names were from 3 of the NICKERSON records. Her children were young when their mother passed. Perhaps the informant on the records didn’t know how the surname was spelled. It appears that Isabella with by the LANKFORD surname. She named one of hers son LANKFORD. This entry was posted in Family History, Questions, ReflectionsPast, Testimonies, Thoughts. Bookmark the permalink.